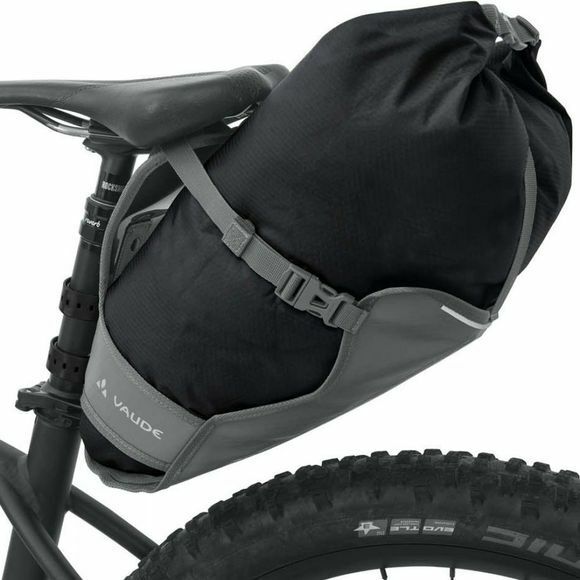 The Trailsaddle Rucksack from Vaude is a waterproof saddlebag made from PVC-free welded tarpaulin material, you can explore to your heart's content. The easy access 12 l volume is perfect for packing your gear. A practical feature: it doesn't just keep your gear dry–it serves as a splashguard to keep you dry as well. 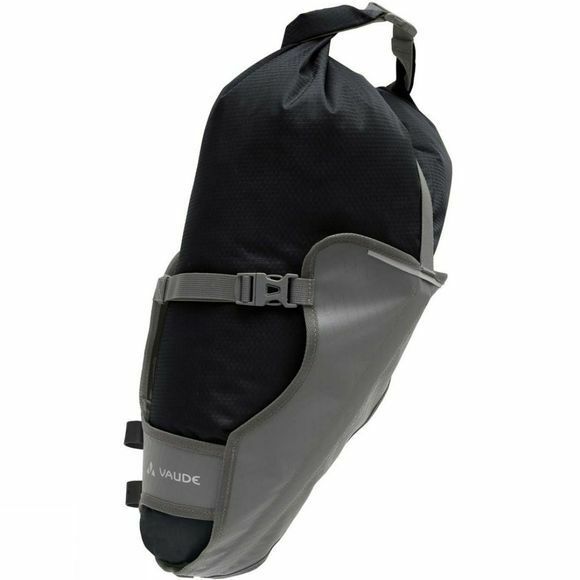 Side compression straps for attaching the frame construction on the saddle post give the packsack reliable stability and prevent it from loosening during the ride. This product is made with Eco Finish, an eco-friendly, fluorocarbon-free, water-repellent finish (PFC-free). The Vaude Green Shape label stands for environmentally friendly, functional products made from sustainable materials.